Kota Blue limestone is much popular because of its fine shade of green and bluish green. This Kota blue stone is very tough, non-water absorbent, non-slip, non-porous and has excellent stain removability. Kota Blue Limestone Aggregate is light green and bluish green color when dry‚ and more richly green or bluish green colored when wet. It is brittle in texture and highly durable. It is considered ideal for flooring, paving, and roofing. It can easily withstand every kind of climate whether it is freezing cold, scorching summer or heavy rain. Edges are honed to avoid possible damages during transportation or application at the site. 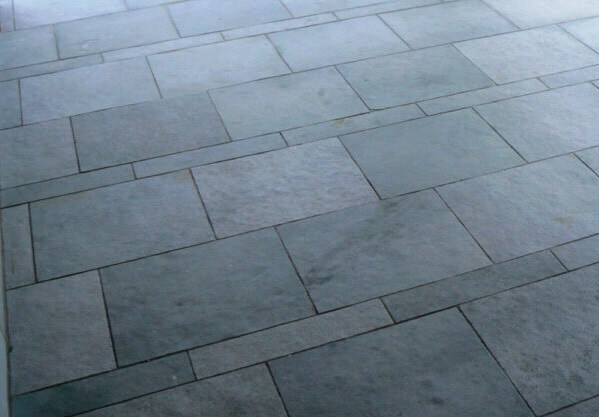 Kushalbagh Marbles is the leading manufacturer, supplier, and exporter of Kota Blue limestone. We are exporting Kota Blue limestone to over 20 countries all over the world. 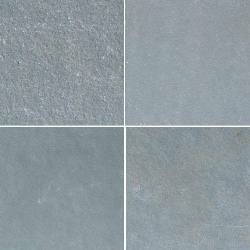 We supply Slabs, Tiles and other cut sizes of Kota Blue limestone.